An ambient Celtic drum with a warm tone and a few modern age enhancements. 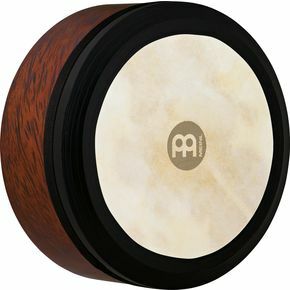 The Meinl Irish Bodhran features an extra-deep shell for a rich, full sound, and an extra dampening layer on the rim to reduce overtones. The traditional cross brace has been removed to enable direct hand pressure on the head for contemporary pitch-bending techniques. A traditional drum used for a span of environments ranging from a battlefield to the pub. Order today.